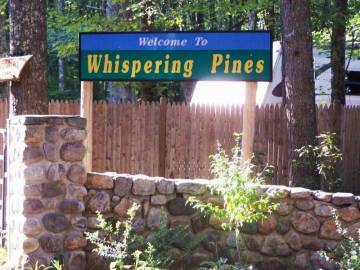 Description: Nice quiet campground among large pine trees close to I-95. Has swimming pool, rec room, horseshoes, and basketball court. Conveniently located close to I-95 between NYC & Boston. Love this place. Great old timey campground feel. Pool, pavilion, basketball, arcade, snack bar, and mini golf all centrally located. Great secluded sites. Come to Hope Valley!